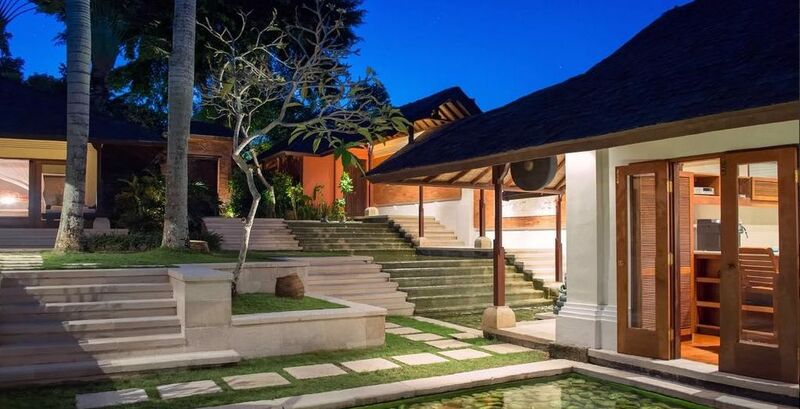 Luxury Canggu Villas - rent this now! 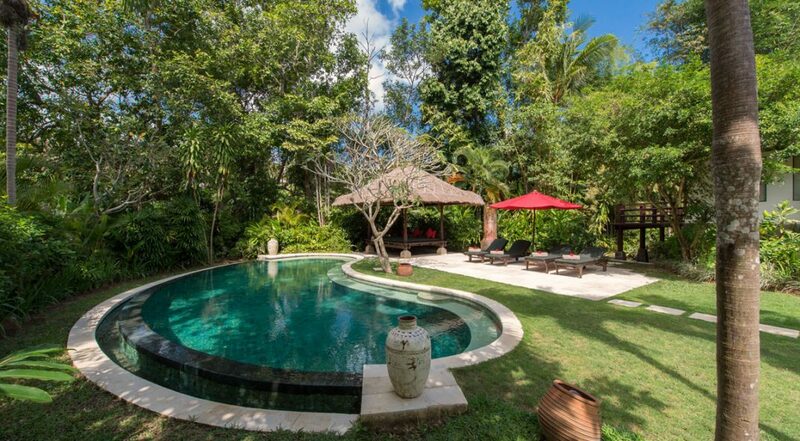 Villa Pangi Gita is a 3 bedroom Canggu holiday villa rental, featuring traditional Balinese architecture is set within a tropical landscape in the peaceful village of Pererenan, Canggu. 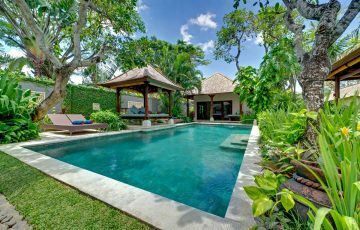 With close proximity to the wonderful Echo Beach, Villa Pangi Gita, provides an exceptional standard of living over sprawling grounds with a private pool. 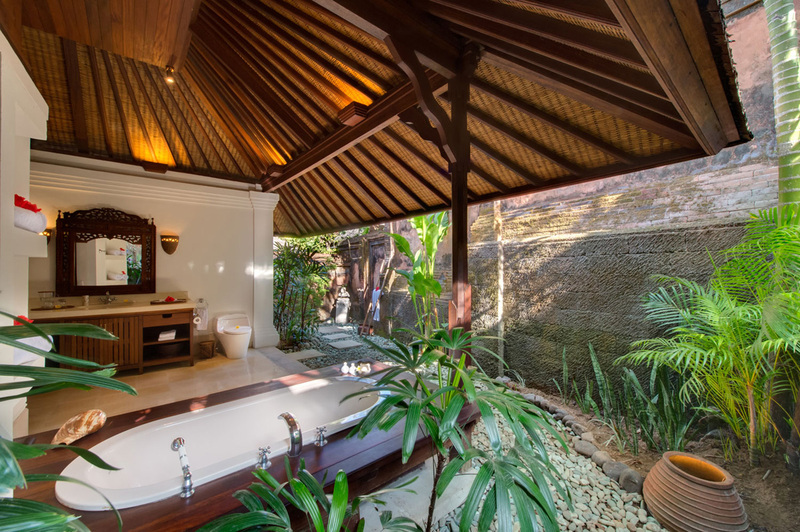 This tropical oasis offers guests seclusion and privacy while not being too far away from Seminyak and all the fabulous places like Finns Beach Club, Old Man’s, Echo Beach and Deus, to name a few. 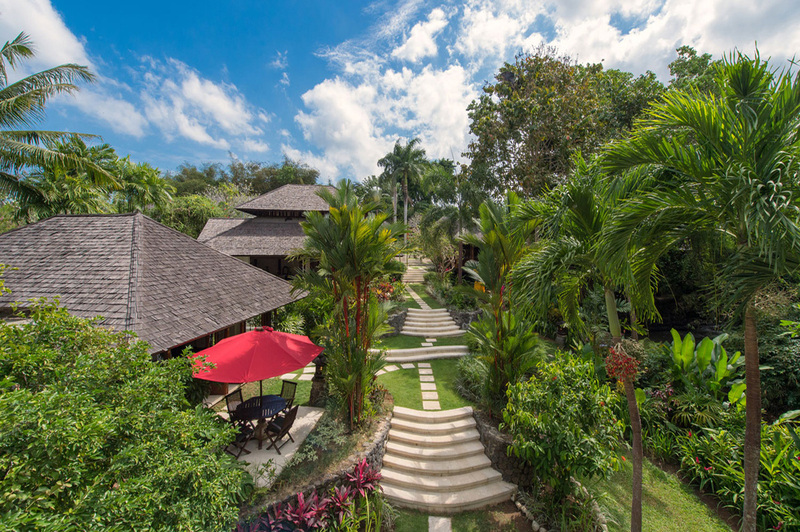 The lush tropical gardens spill down a gentle slope to the rear of the property where a gentle river meanders through the lush vegetation. 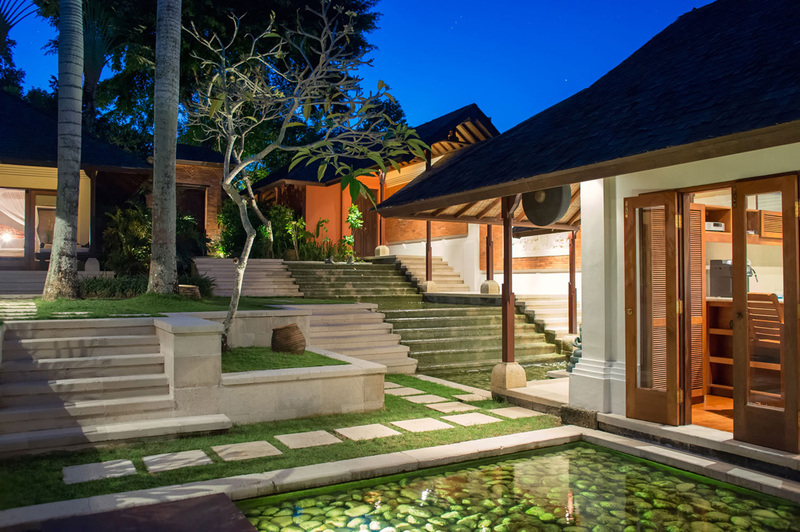 The terraced villa pavilions are flanked by calming ponds, soaring palm trees and manicured lawns. 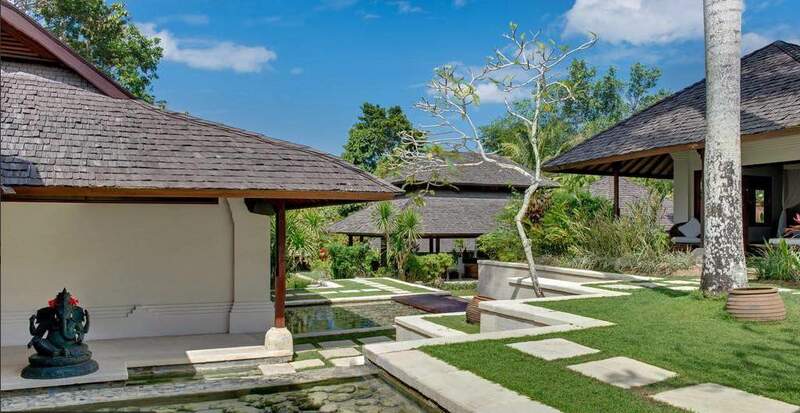 The family will enjoy time around the swimming pool where guests can relax on the sun lounges and the traditional bale provides respite from the tropical sun. 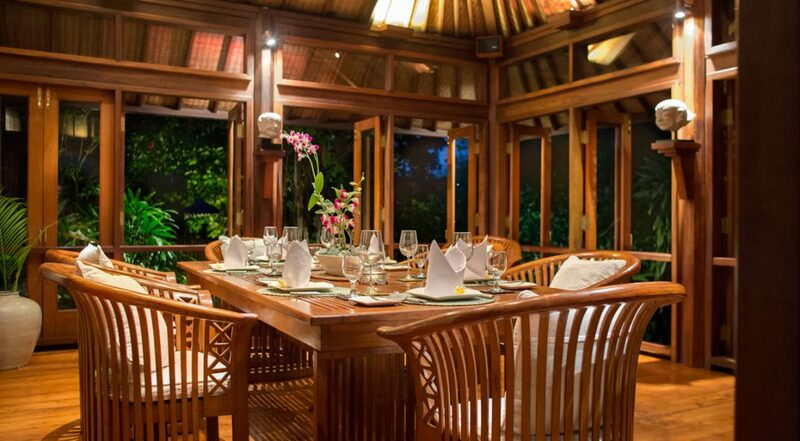 A timber dining setting with umbrella is a great spot to enjoy a BBQ lunch prepared by your personal chef. You can ask the staff to buy some fresh seafood or some imported steaks, they will be happy to serve your every need. 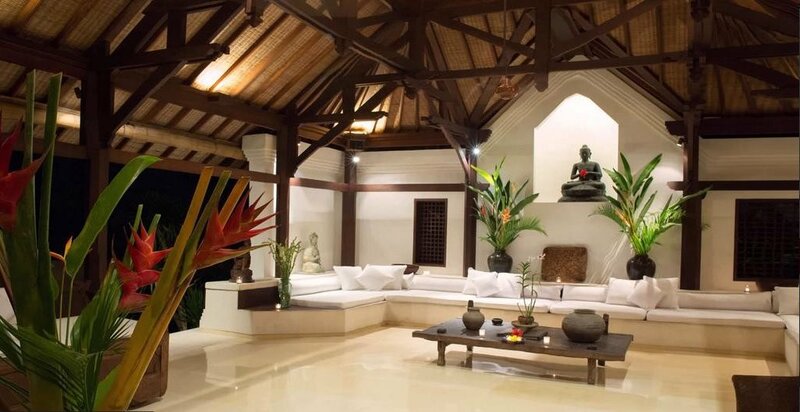 The main open air-air living pavilion features beautiful architecture with rich timbers, marble floors, a huge built-in sofa, antique chairs and day beds and a Buddha statue adds an element of Zen to this beautiful space. 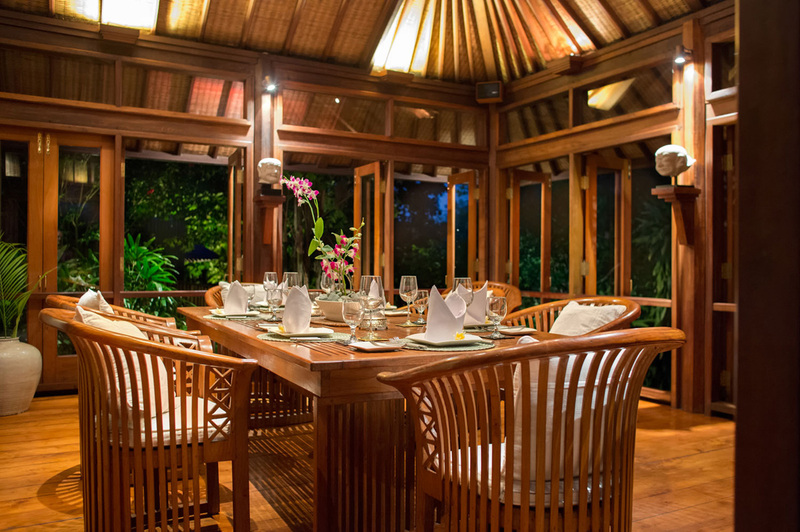 Rich timber floors, bi-folding doors and intricately thatched ceilings in the separate formal dining space and media rooms create an ambience of warmth and calm. A large L-shaped built in sofa, flat-screen TV and library of magazines and books make this a great place to relax and unwind at your leisure. 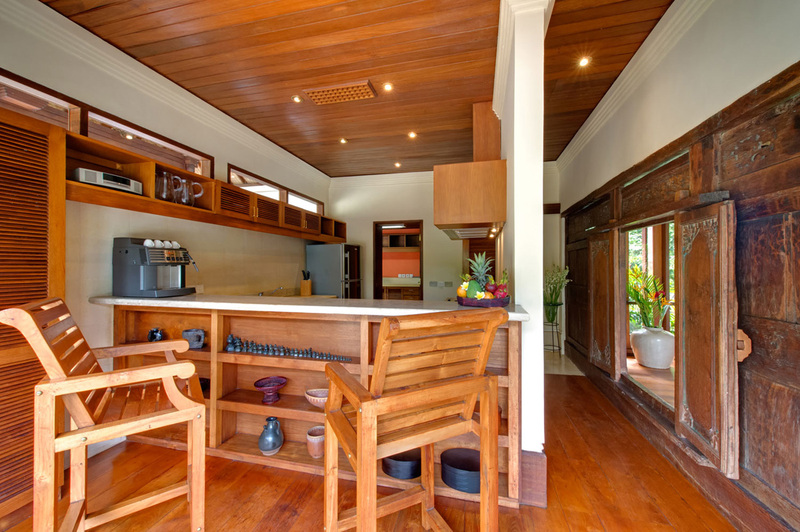 The kitchen is fully equipped, packed with appliances and a great coffee machine. 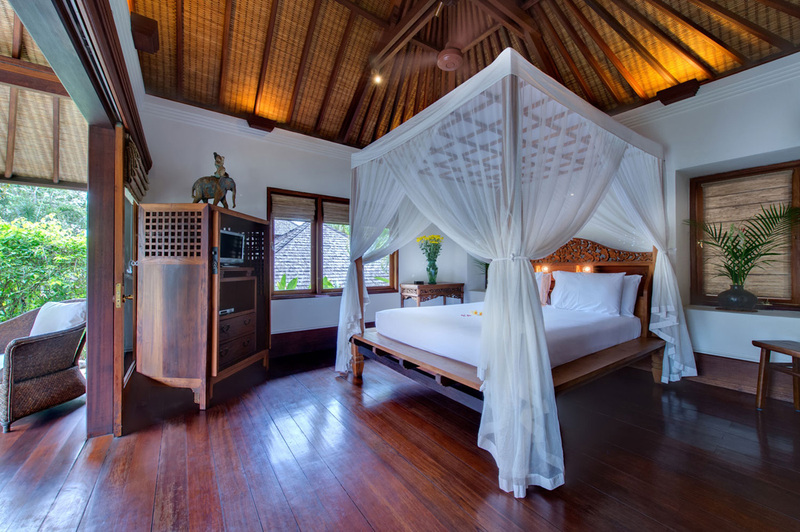 Rich timbers are the main theme in the spacious bedrooms with king size beds, cheerfully draped in white netting. 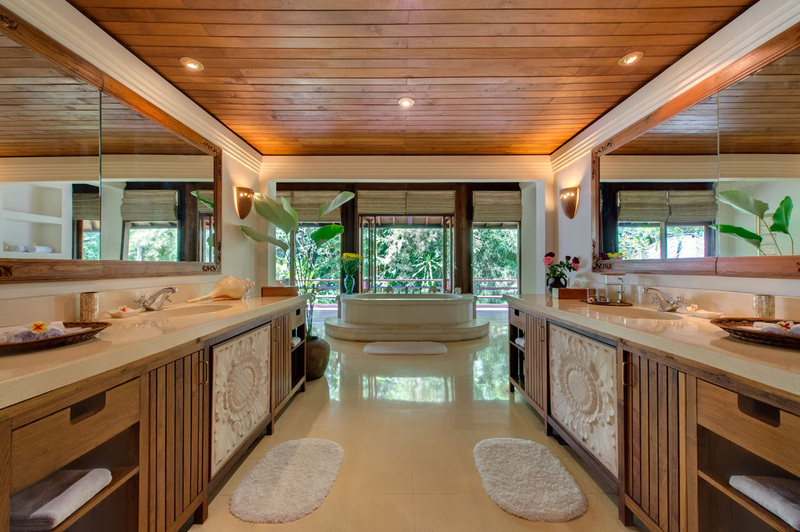 The en-suite bathrooms are open-air with gorgeous tropical gardens featuring soaking tubs, twin vanities, monsoon showers, a pleasurable bathing experience awaits. 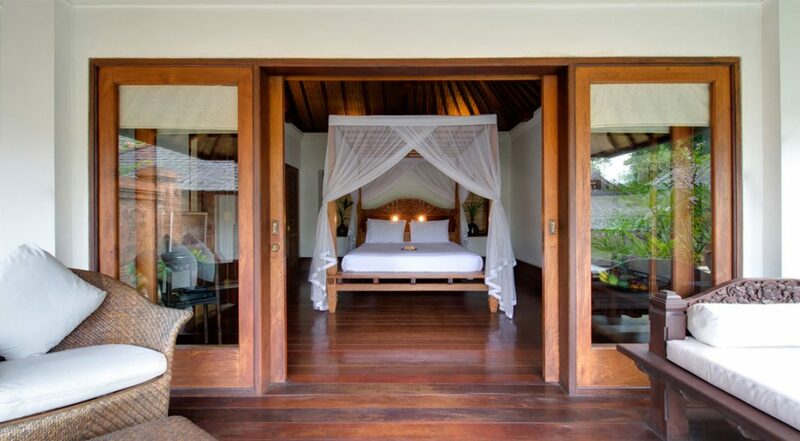 The master bedroom also houses a massage bed on a private balcony. 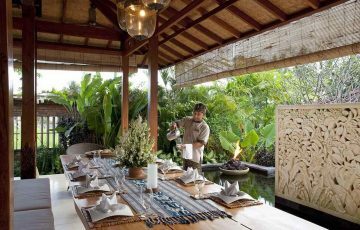 The staff at Villa Pangi Gita are professionally trained and with years of experience they provide a discerning level of service for guests. 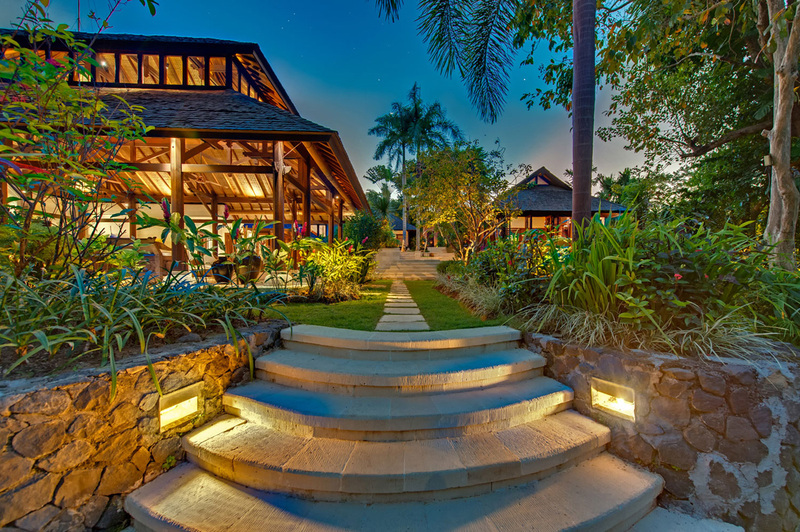 The team consists of daily housekeeping staff, butlers who will attend to all your catering needs, a talented chef preparing local and international fare and the villa manager, always on hand will assist with any bookings or information you may require. Pererenan is a quiet rural seaside village, take a casual morning stroll around the village and see the locals at work in the rice terraces and the local fisherman bringing home the days catch. Echo Beach is nearby if you or into surfing or sun baking and there are seafood BBQ restaurants here with plenty of cafes where you can sit back and watch those gorgeous Balinese sunsets. 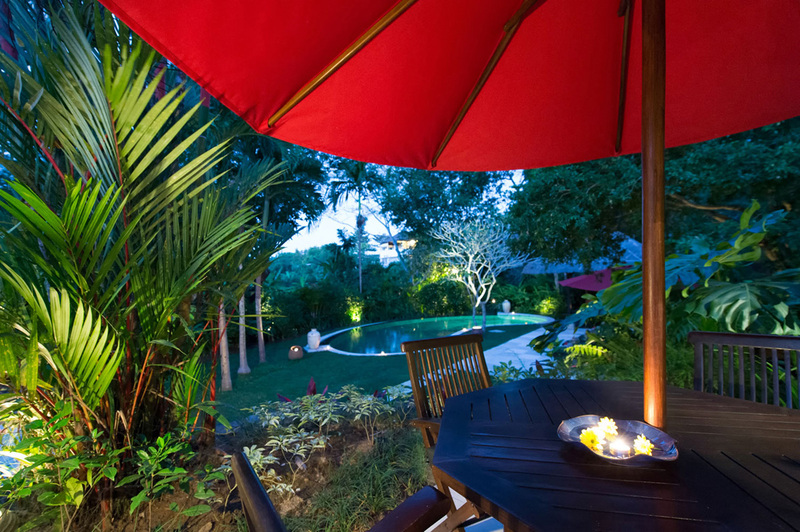 Jalan Batu Bolong with it’s array of shops, nightlife & cafes and restaurants is also close by. 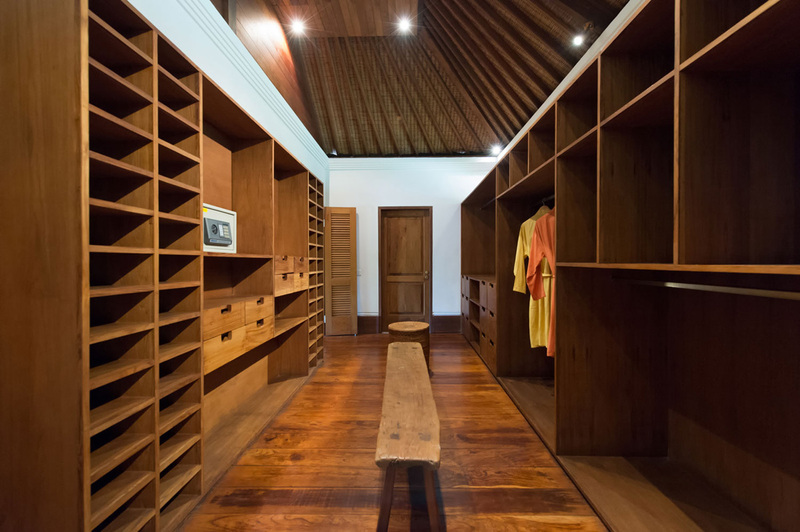 Make sure you try: Betelnut, Crate, Monsieur Spoon, The Loft, Shady Shack just to name a few places to take the kids. The famed Tanah Lot Temple and Greg Normans 18 hole Championship Golf Course is just a short drive. 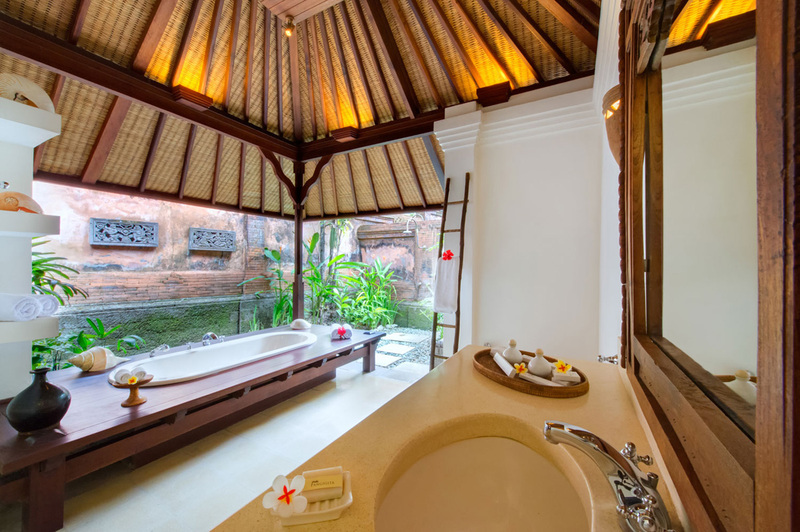 Seminyak central is only 20 minutes away for a night on the town, hanging in some trendy cafes or a spot of shopping at the vast array of hip boutiques. 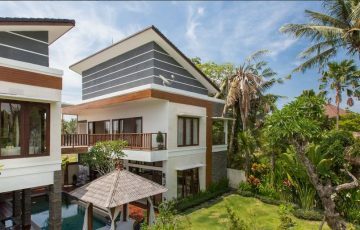 To view our full range of Canggu villas near Echo beach or other Bali villas to rent for the family please browse this website or contact our reservation team. 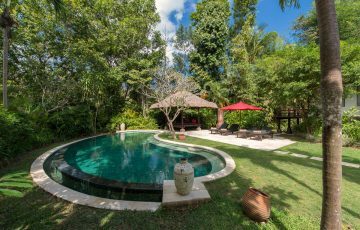 This is a popular Villa in Canggu so please book this well in advance especially if your planning a trip to Bali during the Australian school or public holidays. This was our very first villa experience and we stayed here for 10 days with the kids over Easter. 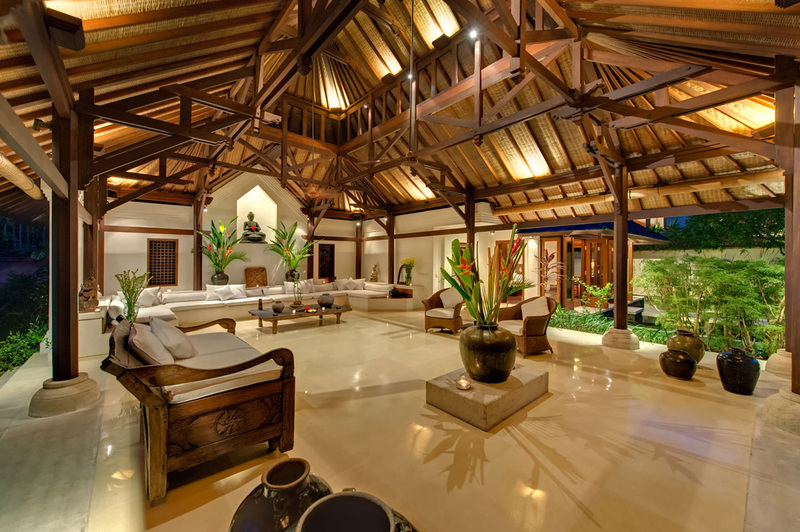 The staff were extremely friendly, very attentive and the amenities were perfect . We absolutely fell in love with the gardens and swimming pool. The food was superb and we really felt relaxed and refreshed by the time we left. 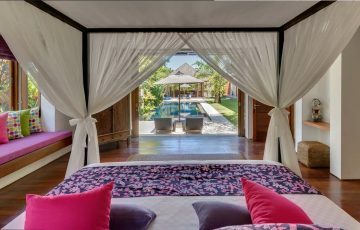 Would highly recommend this villa to anyone with children wanting a villa with a wonderful atmosphere. Everything was perfect and we are already looking forward to coming back. 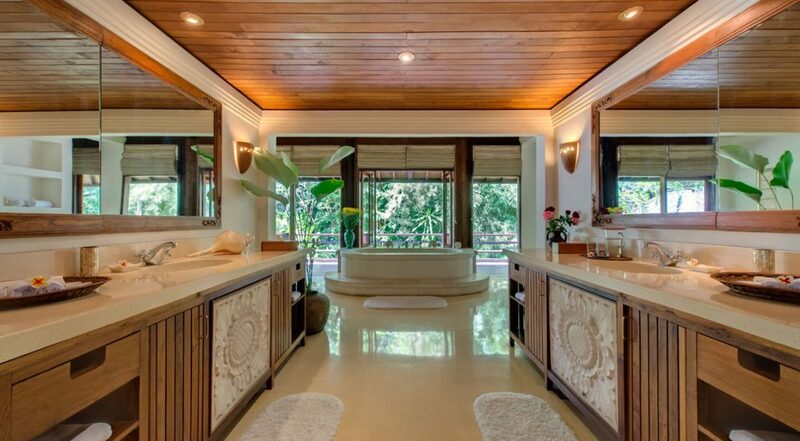 We spent 7 days here with our 3 children and loved the peace and laid back vibe of the villa. It's setting and location were seriously gorgeous. It was incredibly peaceful and the kids had a fabulous time. A real bonus was the villa driver who took us everywhere as well as the villa staff who were the most amazing people. 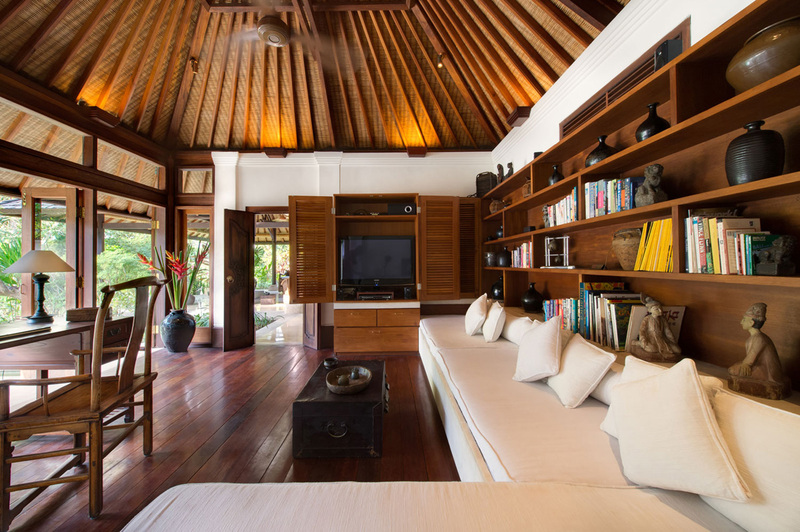 The open plan design made us feel right at home as soon as we arrived and we just loved lazing around and enjoying those balmy tropical days and nights. 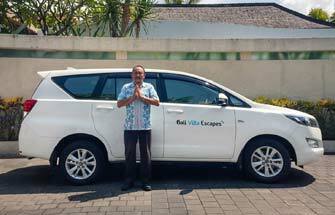 A huge thanks to Ina and Dewi at Bali Villa Escapes for organising this so quickly for us. 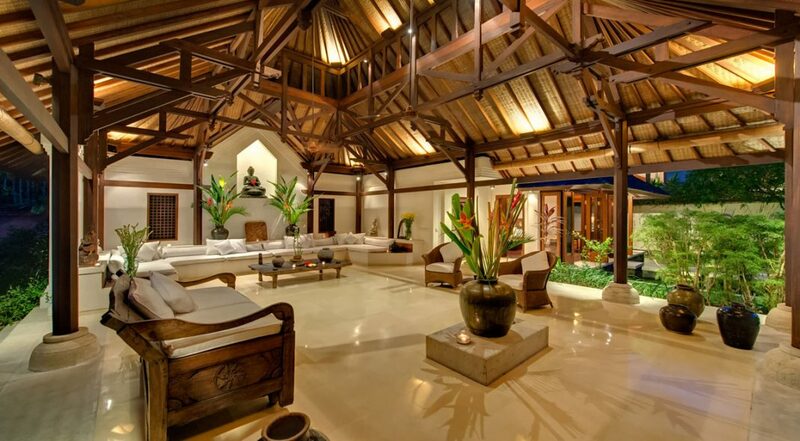 We have already recommended this villa to some of our friends who are looking to come to Bali next year. Fantastic and really hospitable staff. Gorgeous villa layout and a stunning swimming pool. 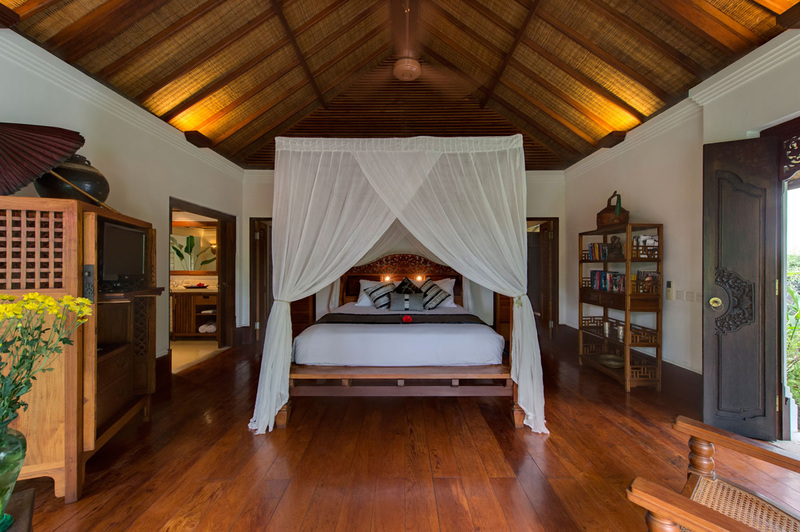 We regularly stay in villas and this has got to be one of the best so far. Its great being in such a quiet location yet getting to Jalan Batu Bolong & the beach. 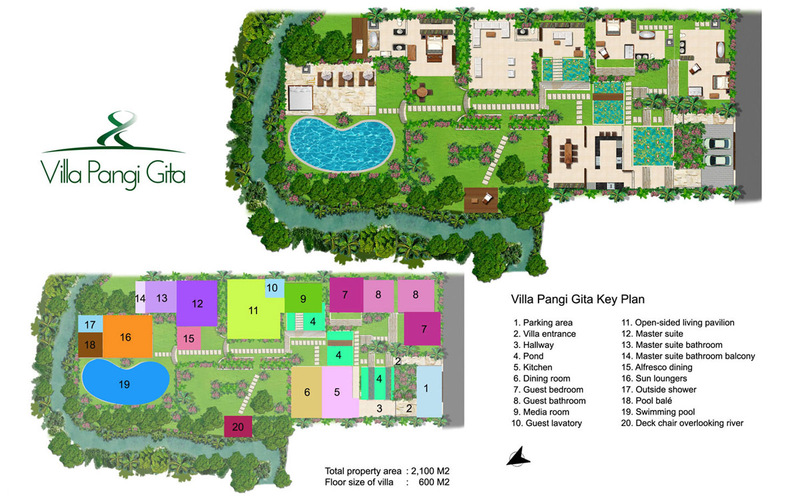 Thanks to everyone at Villa Pangi Gita for making our stay perfect. 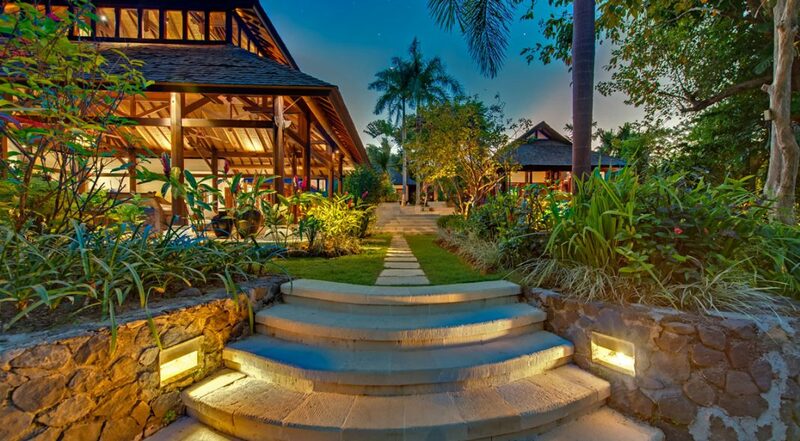 A lovely place to spend a week relaxing. Also the booking process was really easy and appreciate being picked up at the airport. This is such good value - pool, staff, rooms, location were all wonderful.